On 8 March, Jules Verne, the 1st ATV, will begin its qualification mission and rendezvous with the ISS after lifting off atop a specially designed Ariane 5 launcher. 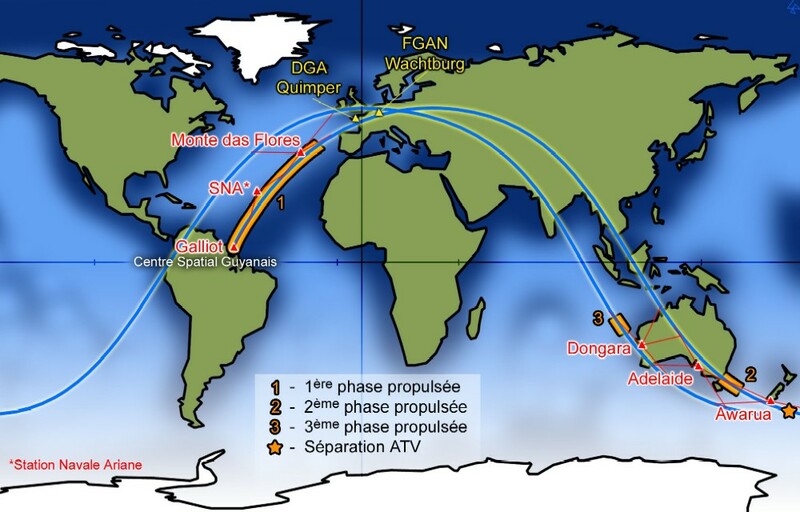 Eagerly awaited by the international space community, the ATV was shipped by sea in pieces to French Guiana in July. In all, it took 2 days to unload all the elements from the 70 containers of the largest spacecraft ever launched by Ariane, weighing 121 9.4 t on lift-off, standing 10.3 m tall and spanning 4.5 m.
It has taken 6 months and an on-site team of 40 CNES and EADS Astrium engineers and technicians to ready the ATV for flight. They have been working to assemble the ATV, check it out, conduct tricky water and oxygen filling operations for the ISS crew and fill the vehicle with the fuel required to power its orbital manoeuvres and reboost the ISS. All these operations were completed in February inside the EPCU payload preparation facility. The EPCU’s S5C building is where everything converges, notably with the ATV Control Centre (ATV-CC) in Toulouse but also with ESA and Astrium. 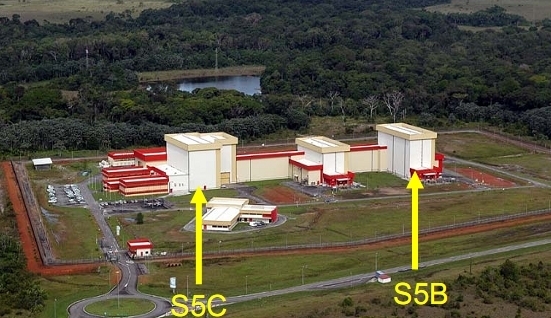 “S5C is the forward operations base,” says Thierry Vallée. For example, CNES has acquired new analytical resources and developed new methods. The Institut Pasteur in French Guiana was also tasked with analysing drinking water and conducting microbiological tests to certify the spacecraft’s flight readiness. The tracking system vital for all launches also had to be adapted to track the ATV’s unique and atypical trajectory and monitor the launcher’s health continuously. “It took 4 years to define tracking station locations, establish contact with local stakeholders and then adapt and deploy the necessary resources,” says Thierry Vallée. The CSG had to complement its network and will be calling on 6 stations and 2 radars for the launch. 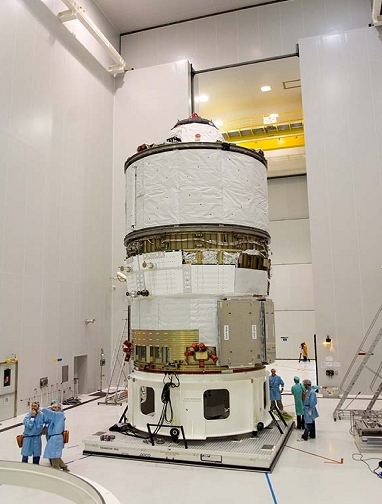 On February 25th, the ATV was mated atop its Ariane 5 launcher and encapsulated inside the payload fairing.